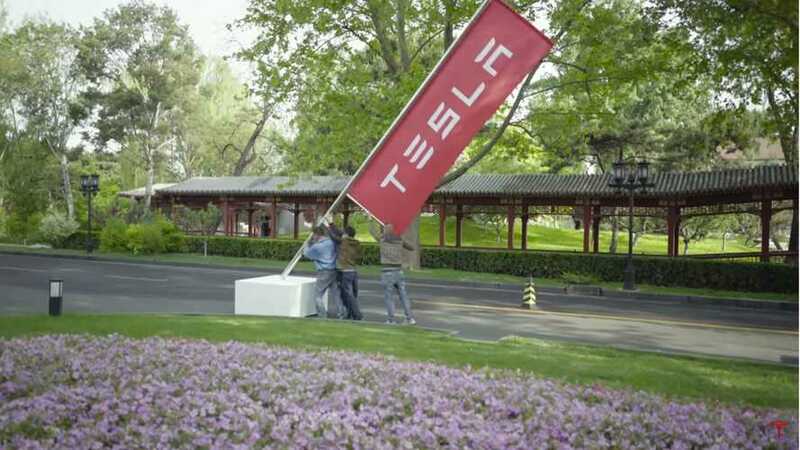 "Tesla Inc. has signed a preliminary agreement with the city of Shanghai to explore production in China, moving the electric-car maker a step closer to lowering its manufacturing and shipping costs, according to people familiar with the matter." "The agreement was reached Thursday in Shanghai, said the people, who asked not to be identified before the information is made public. A representative for Tesla couldn’t immediately comment. A spokesman for the Shanghai government said he’s seeking information from the relevant departments." Bloomberg reports that Tesla is close to an agreement to produce electric cars in China, and that the deal could be announced as soon as this week. Establishing a manufacturing plant in China is very important for Tesla, as this is the only way to avoid a 25% import tax, and of course to also potentially catch onto the country's "New Energy Vehicle" (plug-in) subsidy programs - of which are only offered to domestic manufacturers. The largest issue behind building EVs locally is the requirement to have a joint venture with a Chinese manufacturer, which always brings up concerns of a "knowledge" drain...and of course splitting any potential profits. Foreuign automakers typically acquiesce with the JV partnership requirement, as China is the largest automotive market in the world, and is important to them from a global business point of view. Tesla's revenues of more than $1 billion in 2016 for China could increase quickly - provided the cars could be offered much cheaper. Further inexpensive part sourcing for global products could also be a benefit. "The agreement with the city of Shanghai would allow Tesla to build facilities in its Lingang development zone and could come as soon as this week, said the people, who asked not to be identified because the negotiations are private. Details are being finalized and the timing of the announcement could change. Tesla would need to set up a joint venture with at least one local partner under existing rules and it isn’t immediately clear who that would be." In March, Tencent Holdings Ltd., China’s biggest internet company, took a 5% stake in Tesla for $1.8 billion, which may also will play a role in hammering out the deal.